BaseTM UFH 50mm Joisted Plated EPS system specifically designed for use within a joisted floor construction. 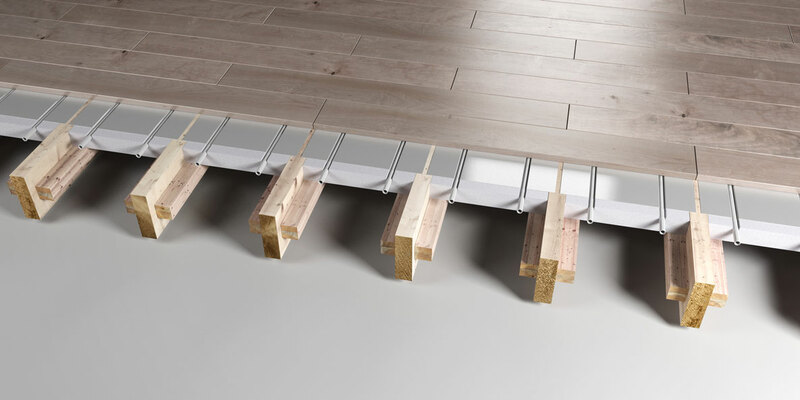 Installs directly between joists on to supporting battens finishing flush with the top of the joist. Aluminium heat diffusion plate tightly compressed into a 50mm rigid EPS insulation panel, offering high heat conductivity and quick system response. BaseTM UFH 50mm Joisted plated EPS system 2 to incorporate 16mm PEX pipe. Pipe to be installed to aluminium plate within 50mm pre-grooved rigid EPS insulation panel. Installation between joists in accordance with pipe layout design.